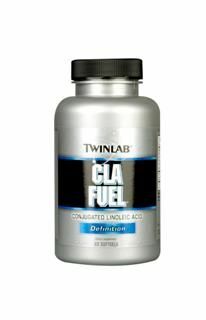 Definition Twinlab CLA Fuel is an all natural dietary supplement, providing between 77%-87% Conjugated Linoleic Acid. CLA (Conjugated Linoleic Acid) has an antioxidant properties. 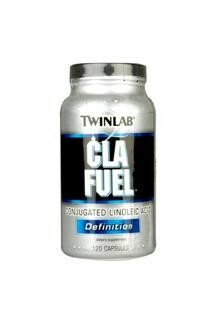 CLA has the ability to prevent the build up of cholesterol deposits in the arteries and promote the burning fat stores. 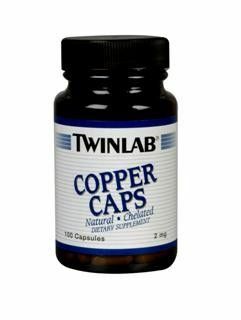 As a dietary supplement, take 1-3 capsules daily. 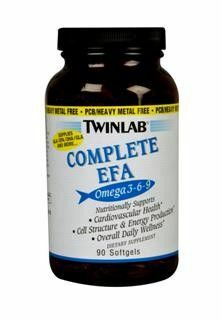 For best results, use as part of a low-fat diet and exercise program..
Vitamin E 0.6 International Unit 2% Conjugated Linoleic Acid (from safflower oil concentrate) 770 Milligrams * Mixed Tocopherols 3.5 Milligrams * *Daily value not established. Other Ingredients: Gelatin, Glycerin, Carob Extract, Purified Water. Not for sale to or use by individuals under the age of 18. Do not use if pregnant or nursing. 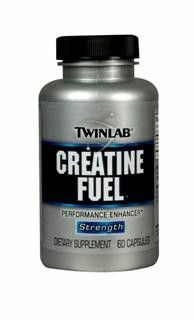 Question: Is it safe if I take this product while already taking testofuel? Also, if it is safe, would it increase benefits to take them together? A: I am not familar with the product testofuel. The only warnings on this product are as follows: Do not consume this product if you are pregnant, nursing, or under the age of 18. Please consult with your physician if you have further concerns or questions about taking the two products together. Question: Is it safe for people in 60s? A: The warnings on this supplement are as follows: Do not use if pregnant or nursing, taking any medication or have any medical condition. Consult a health care professional before taking this product. There are no stimulants in this supplement. Question: I find when I take this product, it gives me severe headaches. What ingredient would cause this. A: I'm sorry to hear you are experiencing headaches. This product does not contain any stimulants. As with any supplement it is always a good idea to consult with your physician when introducing new supplements to your routine as they are familiar with your medical history and any prescriptions you may be on.